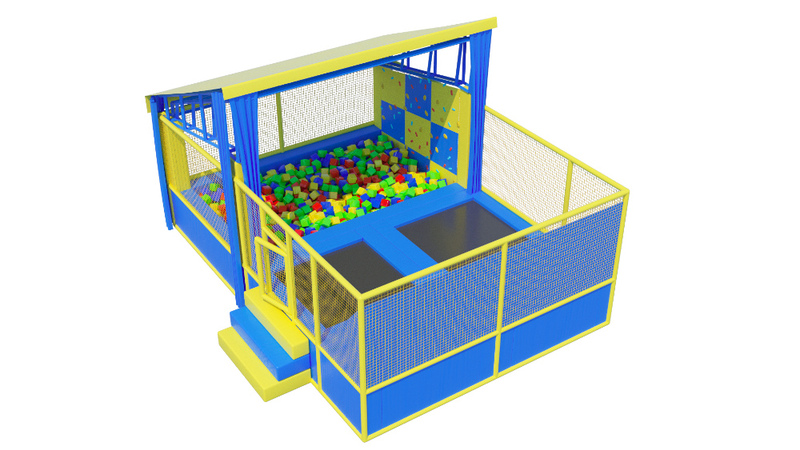 Dimensions: 9 x 6 x 4 m.
Outside mini trampoline park for children. 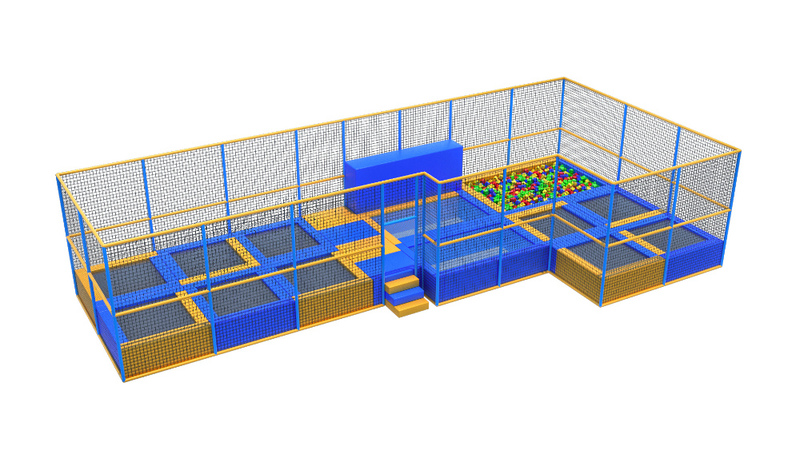 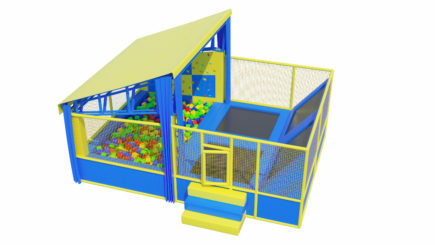 Includes two corner trampoline and foam pit with climbing wall. 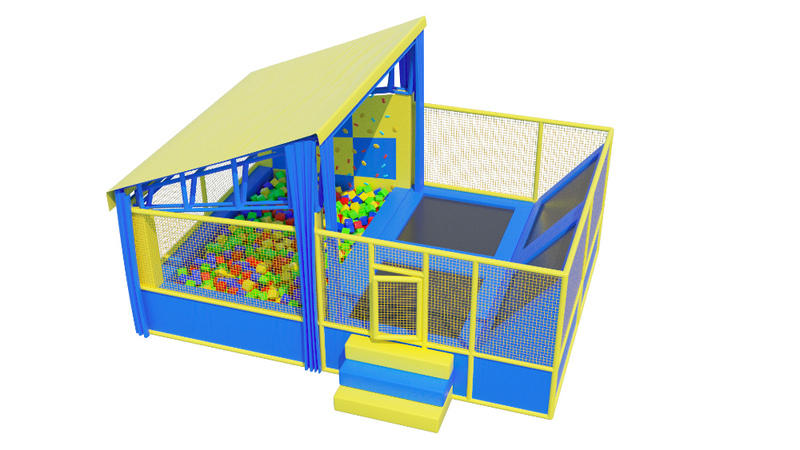 The project will be a great solution for a small area.